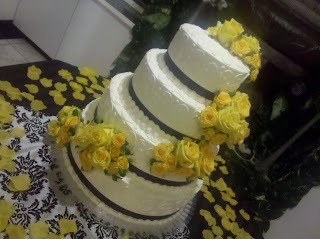 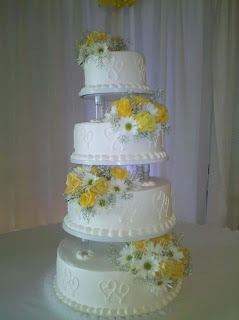 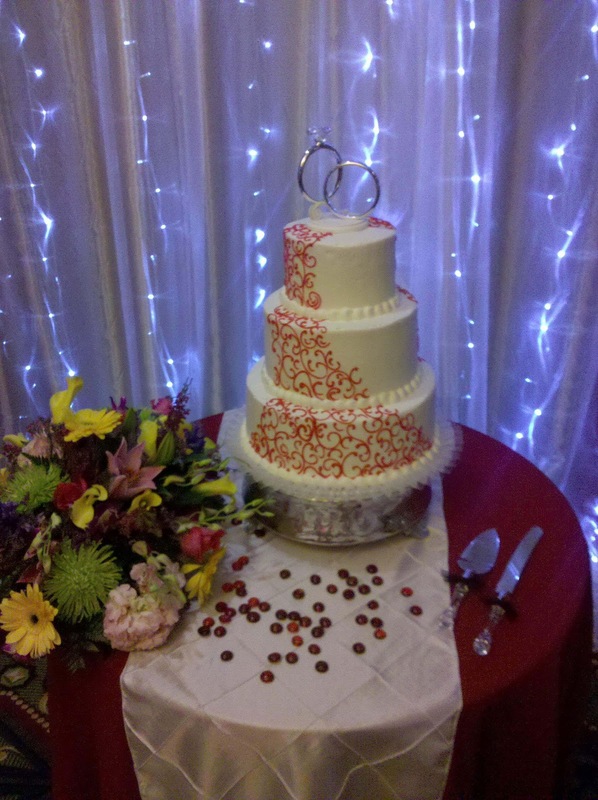 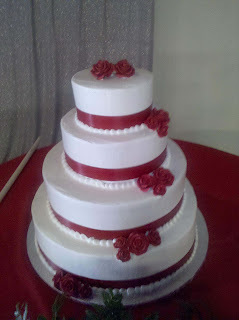 We would like to share some pictures of some wedding style cakes that we have made the past week. 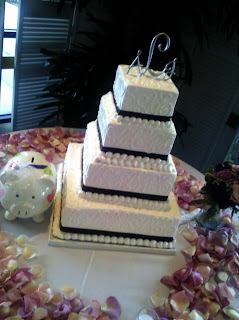 Each cake has its own style depending on the colors chosen by the bride to match her very special day! 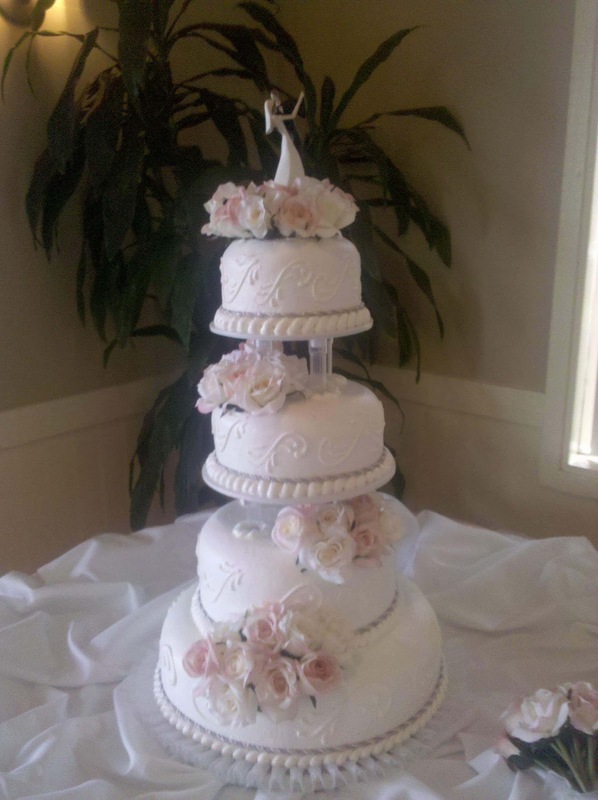 This very simple cake design really came to life after the bridal party brought in some fresh flowers for our decorators to add to her cake. 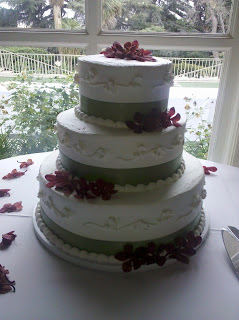 Leaving the cake looking beautiful. 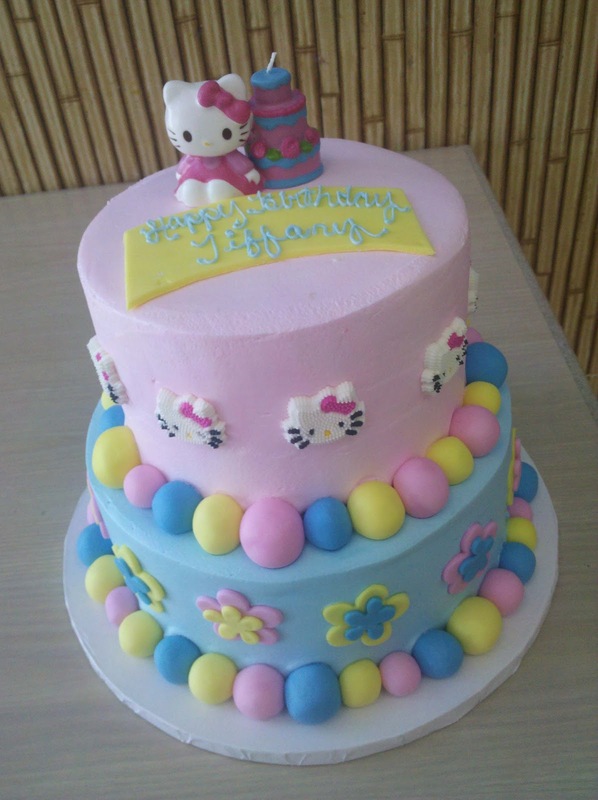 This Hello Kitty birthday cake has Fondant borders and side work. 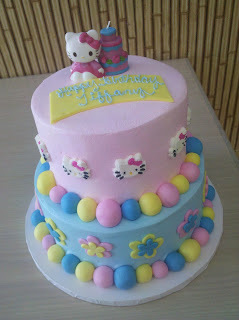 Fondant is a new thing for us to be using but the more we use it the better were getting. This plain iced cake with only a few sugar flowers and ribbon sure turned out to be very elegant.